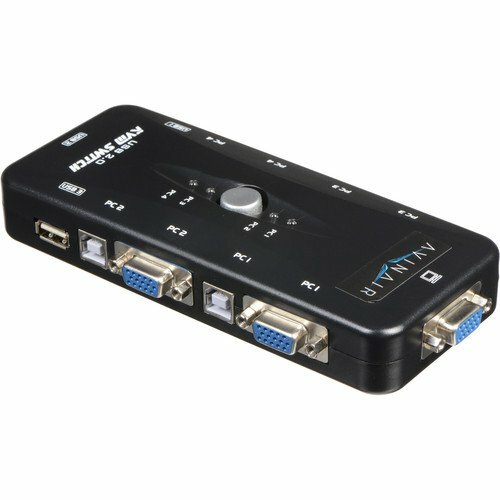 Control up to four computers using the Spitfire 4-Port KVM Switch from Avinair. 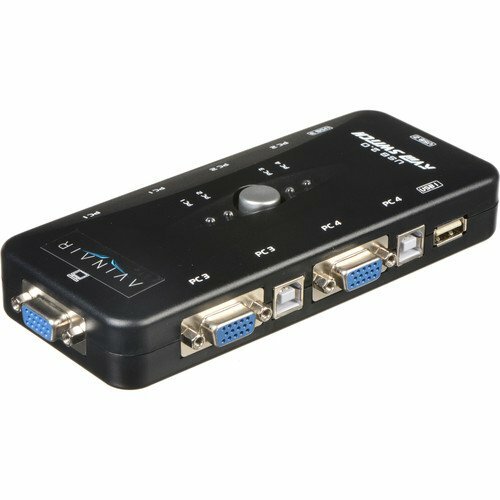 This KVM switch is designed to support SVGA, VGA, and multi-sync monitors and features a single console port. 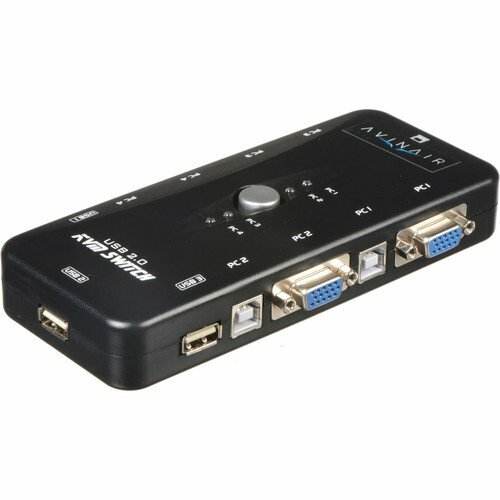 Additionally, this switch comes equipped with female USB Type-B and VGA PC port connectors and male mini din PS/2, female USB Type-A, and VGA console port connectors. 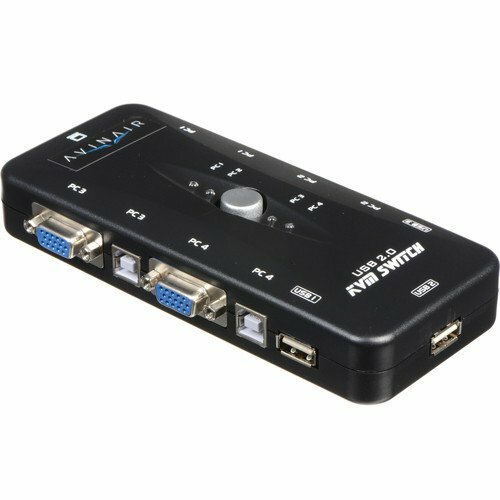 Configuration is simple and requires no software or external power source, and with built-in LED indicators you can see the status of the switch at all times. Box Dimensions (LxWxH)	6.535 x 3.386 x 1.181"